Our teas are produced in our tea factory in a mountain valley. We manage the overall process from tea production technology R&D to quality control and distribution here. Our direct sales depot next to our factory sells freshly made teas. 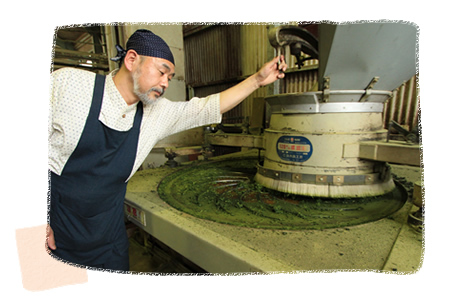 Listed below are the processes we use to make delicious teas at Ishikawaen. From mid-April to early-May, tea leaves picked at tea plantations are transported to our tea factory within two hours of picking. 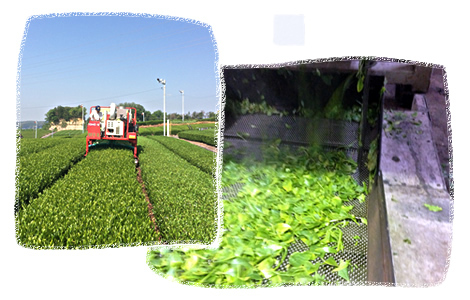 We feed the strictly selected and classified raw tea leaves into a steamer. Steaming raw tea leaves in a high temperature steamer can prevent oxidation and help maintain their vivid green color. 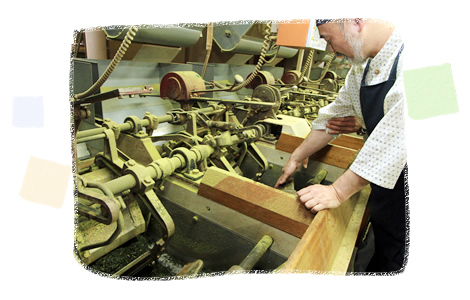 We apply force and roll the tea leaves while keeping moisture uniform. Rolling the raw leaves enables the umami components of tea to dissolve easily. We apply heat and force to the tea leaves to shape and dry. Now the preliminary step of tea manufacturing, aracha, is completed! 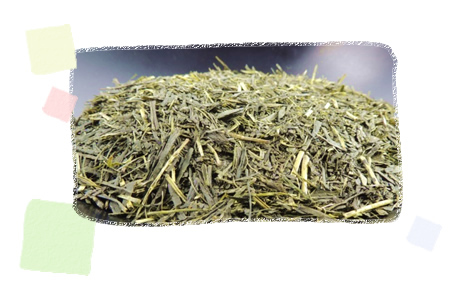 We heat and select the aracha according to shipping amounts to arrive at our green tea as a finished product. 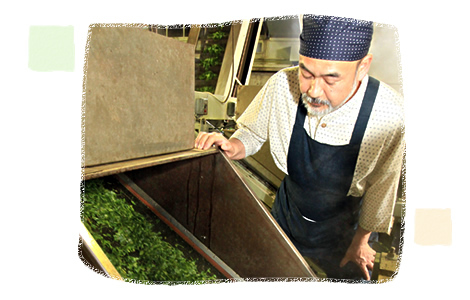 We store the finished aracha in a refrigerator to preserve it. We maintain a safe, uniform quality with our computerised, central control system at our aracha tea factory. We adjust the size of the aracha and remove fine powders and foreign substances. We sort the aracha by color and remove white stems and pale-colored leaves. We heat the tea leaves at the best temperature adjusted for each tea with our microwave and far-infrared drier. This is the most important process in finishing as it affects the aroma and taste of the tea. We fan the light powders out and check them with a metal detector. We remove any foreign substances that may have mixed with teas. We blend the tea leaves to make a uniform, finished tea. People have been becoming more concerned about food safety recently. 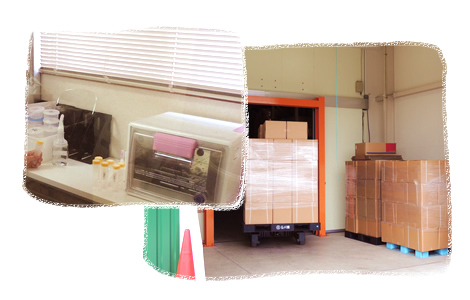 Ishikawaen has implemented a thorough quality control and hygiene management system in order to meet customers' growing concerns with confidence. Our experienced technicians directly inspect the aroma, color and taste of our products at every stage from purchase of the aracha to the completion of the product. For additional assurance, we examine the quality using scientific analysis. We require our tea producers to submit a pest control history. We also confirm a product's safety with an agricultural chemicals' residue inspection. We conduct other necessary inspections for quality assurance as requested. A coliform bacteria examination is carried out in-house. We have introduced a product traceability system to track how each tea was processed from reception from a tea producer to completion as a product. We store teas in a cryogenic refrigerator which maintains a constant temperature in order to prevent quality deterioration. Ishikawaen's plant is equipped with machines using the latest technology to prevent contamination and to control quality. A metal detector detects and removes any metals. A device removes any foreign substances from our teas by using a state-of-the-art camera. A device removes any foreign substances from our teas using X-rays. In addition we remove any foreign substances through direct visual observation.